Lakeside Speedway - $5,000 Awaits Lakeside Speedway Jayhawk Modified Shootout Winner this Weekend! $5,000 Awaits Lakeside Speedway Jayhawk Modified Shootout Winner this Weekend! After a heartbreaking wash-out for last week’s season-ending point’s championships, Lakeside Speedway returns in a big way this weekend with two nights of action for the annual Jayhawk Modified Shootout on Friday, September 14th and Saturday, September 15th! Friday action includes Modifieds, Factory Stocks, Grand Nationals, and Stock Cars while Saturday car classes include Modifieds, B-Mods, E-Mods, and Mod-Lites. Drivers are reminded that Lakeside Speedway is still offering pre-registration for this weekend’s event but you must call the office at (913) 299-9206 between the hours of 10 a.m. to 4 p.m. with your credit card information ready. This may be done through 4 p.m. on Thursday, September 13th. Early pre-registration fee is $200, which includes a 2-day pit pass. Before moving on to this weekend’s special events, Lakeside Speedway wishes to congratulate each of the 2018 Track Champions: USRA Modifieds-Mark Schafman, USRA Stock Cars-Kevin Anderson, USRA B-Mods-Tim Powell, Grand Nationals Kasey Shields, E-Mods-Billy Spilman, and Factory Stocks-Marshall Jewett. Well done drivers! Information is readily available on the track’s website regarding the upcoming two-day event under the Rules/Forms link on the track’s website at www.lakesidespeedway.net. The complete night two Modified payout for the event is: 1st $5,000, 2nd $3,000, 3rd $1,800, 4th $1,300, 5th $1,250, 6th $1,200, 7th $1,150, 8th $1,140, 9th $1,130, 10th $1,125, 11th $1,120, 12th $1,115, 13th $1,110, 14th $1,105, 15th to 24th $1,000. The B-Main pay for non-transfer to A-Main is $100, driver must take a green flag in order to be paid. Modified payout will take place on night two. A driver has a second chance on night two to make the A-Main. Driver pays only one entry fee for both nights. Only exception is if driver cannot continue on. Tow Money (did not transfer to Main event or Non-Qualifier race-Must have taken a green flag) is $75. There is a bonus night one ‘Tom Karrick Memorial’ Scramble with payout as follows: 1st $200, 2nd $165, 3rd $135, 4th $100, 5th $90, 6th $85, 7th $80, 8th $75, 9th $70, 10th $70, 11th $70, 12th $70, 13th to 24th $60. The top six scramble finishers will redraw for night two starting spots. Drivers finishing 7th through 12th in the scramble will start the finale in those positions but will not redraw. Same-day entry is $175, which does not include $35 pit pass sold separately. 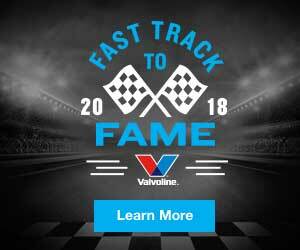 Drivers and fans may find additional information regarding the event on the track website including competing car classes, pre-entry forms, and much more. Night One - Friday, September 14th features the $200-to-win Tom Karrick Memorial Scramble. The top 6 finishers will redraw for night two starting spots. Pits Open: 5 p.m., Grandstands 5:30, Hot Laps 7:30, and Racing at 8. Admission for night one General Admission/Terrace: Adults $20, Military/Senior 62 and over $15, Kids 7-12 $6. Suites for adults $30, Kids Suites 2-12 $10. Pit Passes ages 7 and up $35, six and under $10. One-day Family Pack General Admission/Terrace offer available for $45, which includes 2 Adults, 2 Kids ages 7-12 plus a coupon for 2 Hot Dogs and 2 Kool-Aid Jammers. Must have a voucher to purchase Terrace tickets. Two-day General Admission/Terrace offer: Adults $35, Military and Seniors 62 and over $25, Kids 7-12 $10. Must have a voucher to purchase Terrace tickets. Night Two, Saturday, September 15th features the Night 2 Scramble for starting positions 13-24 for qualifying into the $5,000-to-win, 40-lap main event. Pits Open: 5 p.m., Grandstands 5:30, Hot Laps 7:30, and Racing at 8. General Admission/Terrace: Adults $20, Military/Senior 62 and over $15, Kids 7-12 $6. Suites for adults $30, Kids Suites 2-12 $10. Pit Passes ages 7 and up $35, six and under $10. One-day Family Pack General Admission/Terrace offer available for $45, which includes 2 Adults, 2 Kids ages 7-12 plus a coupon for 2 Hot Dogs and 2 Kool-Aid Jammers. Must have a voucher to purchase Terrace tickets. Results, schedule information, track details, car class rules, and news are all available at www.lakesidespeedway.net. Contact the track at (913) 299-9206. The track location is 5615 Wolcott Dr., Kansas City, Kansas, one mile west of I-435 (exit 18) on SR 5 (northwest of Kansas City. Like and follow on Facebook at www.facebook.com/lakesidespeedway.kansascity. You may also email the track at lakesidespeedwaykc@gmail.com.